Manchester United manager Ole Gunnar Solskjaer strongly disagrees with the claim that Paul Pogba is not captain material for the club. The relationship between Paul Pogba and Manchester United has drastically changed since Jose Mourinho left and Ole Gunnar Solskjaer took control of the squad, the Norwegian boss has past experiences with the French midfielder when he was the under-23 manager for the Red Devils. We must not forget that Paul Pogba practically grew up in the Manchester United academy from a very early age in his career, the World Cup champions were very familiar to several of the club’s many traditions and he immediately hit it off with Solskjaer as soon as he arrived. There was a misconception about Pogba when Jose Mourinho was still the club’s manager, the Portuguese boss publicly stated that the Frenchman wasn’t good material to be a team captain but we now know that this was due to a personal issue that both of them had. The reality is the Mourinho never really understand Pogba as a player, or maybe he never really wanted to because Mou still fails to understand the new generations of players who live their public lives in a different way compared to the players from the old era. When Mourinho said that Paul Pogba wasn’t captain material, he was coming right out of a very nasty falling out with the player and his feelings were quite hurt because Pogba simply decided to stop performing for the manager. In the Portuguese manager’s eyes, Paul wasn’t being professional because he was supposed to do exactly as his coach instructed and not ask any questions along the way. Ole Gunnar Solskjaer has a very different outlook on life, the Norwegian boss is more in touch with the players’ feelings and directly asks them to talk about what they expect from the manager in order to create a healthy channel of communication where they can be open with each other and never fear there will be any judgment from either side. 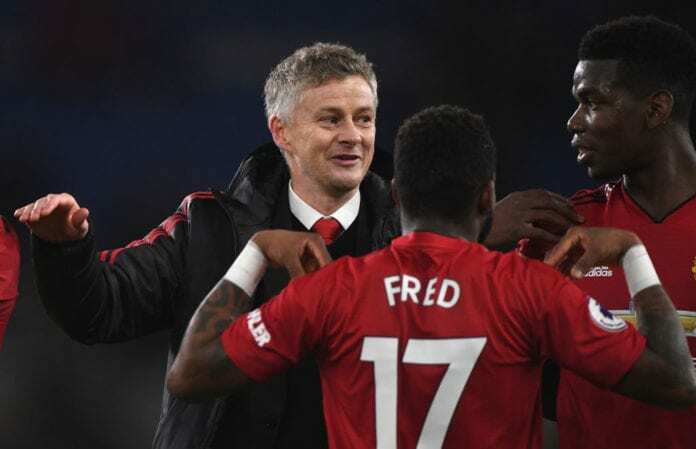 Solskjaer appears to have big plans for Paul Pogba if he ends up staying at the club, but Ole will respect the chain of command while veteran Ashley Young remains at the club because he is the one who was named captain by Jose Mourinho before the Portuguese boss was sacked by the board of directors. "I know the boy from before and he is a leader." The armband may have been taken off Paul Pogba earlier this season, but Ole Gunnar Solskjaer sees captain material. In a press conference ahead of United’s FA Cup match against Arsenal, Ole Gunnar Solskjaer responded to the question of how got a fit the French midfielder is to be a captain for the Red Devils. Solskjaer proved with his response that he does have the young player in high esteem but will also respect the more experienced players who have a long time playing for the squad. Either way, Pogba doesn’t need the armband to command respect and let his teammates know that he is a leader. “I know the boy from before and he is a leader,” said Solskjaer to BBC Sports, he shared two years with Paul Pogba during the time when he managed the under-23 squad at Manchester United between 2008 and 2010. “Paul’s a larger than life character, that is just the way he is,” said Solskjaer. “He’s maybe one of the last old school captains,” said Solskjaer. How long would you wait until you give Paul Pogba the Manchester United captain’s armband? Please share your opinion in the comment section down below.